Amazon announced today that it had reached an agreement with Andrew Wylie, head of the successful New York agency whose clients include such authors as Oliver Sacks, Salman Rushdie, and Philip Roth, as well the estates of William Burroughs, John Updike, W.H. Auden, and the like. Amazon and the Kindle e-book store will have exclusive rights to publish several books by authors Wylie represents, cutting all other players (such as authors’ paper book distributors) out of the deal. It’s a big win for Amazon, but the start of a painful period for consumers. Picture all the e-books that are out there as being in a big pie. Amazon is cutting a piece of the pie out and putting it in their own pan. Pretty soon, the other players will be furiously cutting their own pieces out of the pie and isolating them in their own pans. The end result is a messy and fractured marketplace that’s difficult and confusing for consumers to navigate. That said, it’s an inevitable step, and it’s far from unprecedented. This kind of thing has been going on since the first marketplaces, where one merchant said to the farmer bringing his beets to market: “Look, you’ve got the best beets, I’ve got the best shopfront. You know it, I know it — let’s make a deal. We’ll clean up.” Except they spoke in Latin, or Linear B or something. Point is that exclusivity happens, and the end result is that everyone steps up and the whole market gets better. But in the meantime, beets are going to be expensive. Exclusive deals on this or that store, including the Kindle, are nothing new. It’s just that now, as the e-book market heats up, there’s going to be some real competition for talent, and talent is going to start pushing for deals as well. Sure, they want to sell as many copies as possible, but limiting it to one e-book store isn’t going to rock their boat too much, and I’m sure Amazon will be paying a nice up-front. Over the next two years, we’ll see a huge migration of famous authors to major e-book brands. Like Stephen King? If you want him in e-book form, you need a Kindle. That sort of exclusivity is easy to grasp and will likely stay around for a while. I’m just concerned that it ends up being a negative for the end user. If the big players expect best-seller readers to switch to e-books, this is a bad way of going about it. 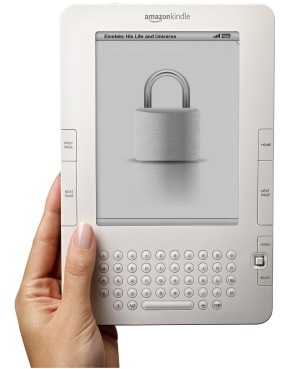 Joe Danielle-Steel-Reader is going to be angry when he finds that he is unable to get certain authors on his e-reader, or that he has to sign up at a new store and give his credit card information all over again. Sure, you can get Nook, Kindle, or Kobo for lots of devices, but who wants to deal with a whole new interface and store for this or that author or book? For the titles selling millions, it’s going to be more convenient for him to buy an actual paperback — portable, DRM-free, and region-agnostic. Kindle may end up the iTunes of e-books, but until it’s really settled (as seems to be the case with music), there will be troubles. Of course, Amazon and the others (as well as authors and agents) are sure to be aware of this problem. The “exclusive” deals going on are likely to be limited in key ways, though this one (for 20 classic books at first) is for a full two-year period of exclusivity. Seems a bit over the top. I think publishers and authors are going to end up doing something a little less drastic in future exclusive deals. First three months? First 50,000 copies? Until the author or agent says so? It’ll probably be a contract-specific parameter, which may actually end up confusing the matter further until it’s standardized. I’d like the “first X copies” one, personally — it encourages everyone involved to push as hard as they can. Predictably, dead-tree publishers are raising a stink. They’re incensed that agents would make these deals on the side without consulting them or working out their cut. Better get used to it, guys. That club you’re wielding against the new wave of distribution is getting smaller every day. It’s going to be chaotic in this business for the next couple years, for more reasons than those I’ve mentioned. A turbulent market is a hard one for consumers to navigate, unless of course they read this website, in which all secrets are revealed. The move to digital distribution is still wreaking havoc on the music industry, and the TV and movie industries are only faring marginally better. Hopefully the book and publishing industry will have smoother sailing.